SKIN & BONES SELLS EVERYTHING FROM ANACONDA SKINS TO OSTRICH SKELETONS—BUT SOMEONE’S TRYING TO TRASH THE BUSINESS! Cody Chang’s San Francisco store could be considered creepy—Skin & Bones sells animal skulls, fish skeletons, reptile skins, and more. Business is booming, but when Frank and Joe visit the shop, Cody tells them he’s been the victim of a string of burglaries, computer thefts, and threatening messages. 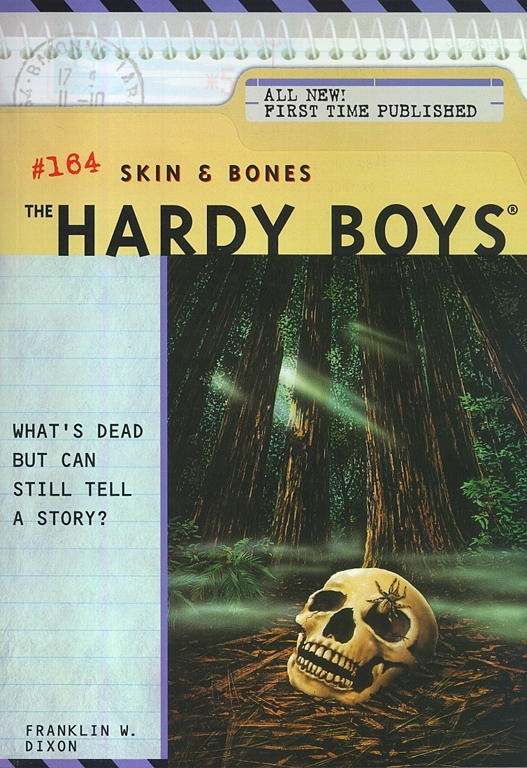 The Hardys immediately pinpoint a suspect—a criminal who was once caught in a sting by Cody’s father, a policeman. Now there’s danger everywhere for Frank and Joe, from a cable car accident, to the dense redwood forests of Muir Woods, to the foggy, ice-cold waters off Alcatraz. The brothers are running hard and thinking fast—and up against a smart, desperate enemy ready to skin them alive!